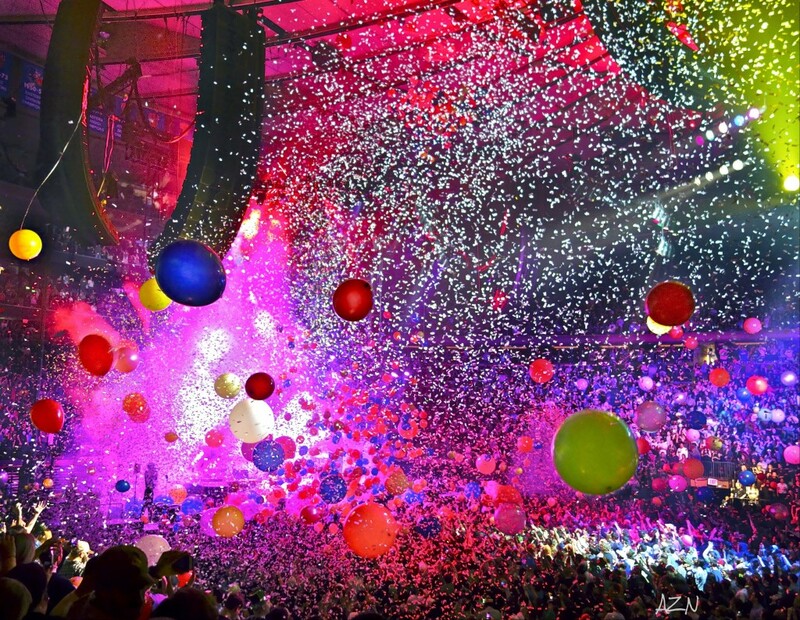 The 29th of December holds a special place in Phish lore. 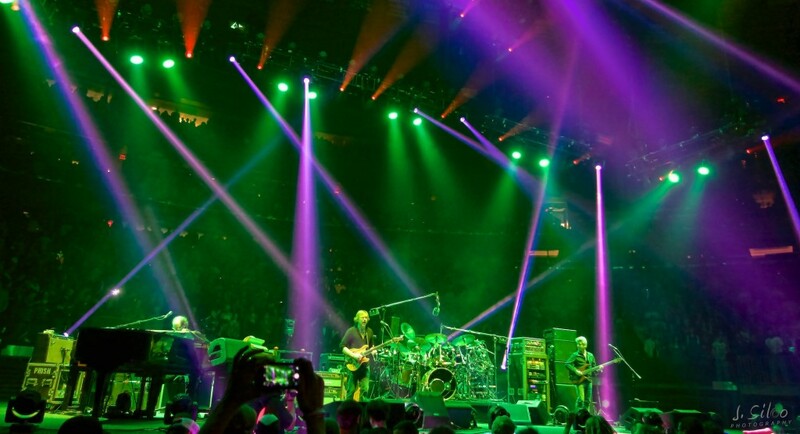 For several years in the mid to late ‘90s, this date yielded many of the band’s most prolific exploits and most outlandish shows of their respective New Year’s Runs. After a standout showing on December 29th of their comeback year in Miami, Phish had played a couple of genuine stinkers on this date in 2011 and 2012, after skipping it all together in 2010. 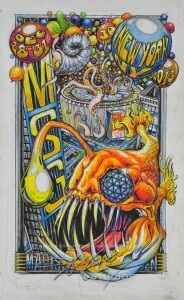 Needless to say, the hallowed date of the 29th had taken a hit in pantheon of Phish dates. 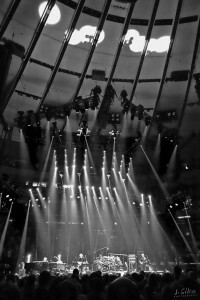 Within these more recent years, the guys had made a practice of knocking the first show of any given tour or run out of the ballpark. 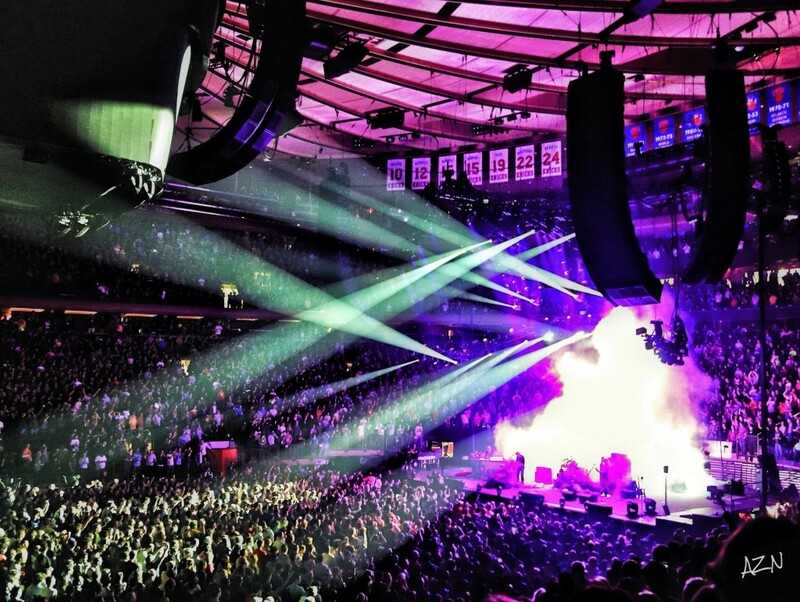 On 12.28 of both 2011 and 2012, Phish kicked off their MSG run with high quality performances that were, arguably, the best two-setters of their respective runs. But when the band came out on the 28th of this year with a fairly straightforward show, the entire run picked up a different trajectory. And so did the potential of the 29th. The opening set possessed a palpable energy right from the start, as “Moma Dance” and “Rift” persuaded our souls to ignite. 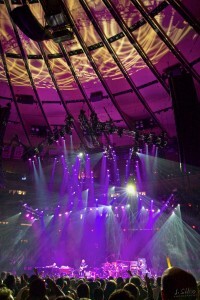 “Roggae” and “Sparkle” provided two quasi-rarities early in the game, and two of Wingsuit’s well-loved songs “The Line” and “555” gave a fresh feel to the set as a whole. Between the two songs, “Stash” led the band into their first jam of the night, one who’s ominous vibe provided a foreshadowing of what was to come. “It’s Ice” and “Gumbo” both featured enhanced improv—mostly between Page and Trey—and continued to raise the creative bar of the show. 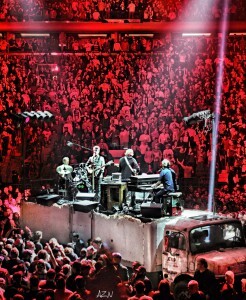 A searing rendition of “Walls of the Cave” punctuated the most complete first set of the run, while setting the table for the band’s most impressive playing of the year. 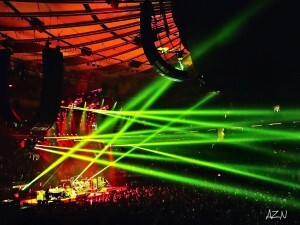 The opening 35 minutes of the second set, simply put, was a Phish fantasy; a deranged, indoor Eden, the likes of which we haven’t visited in quite some time. 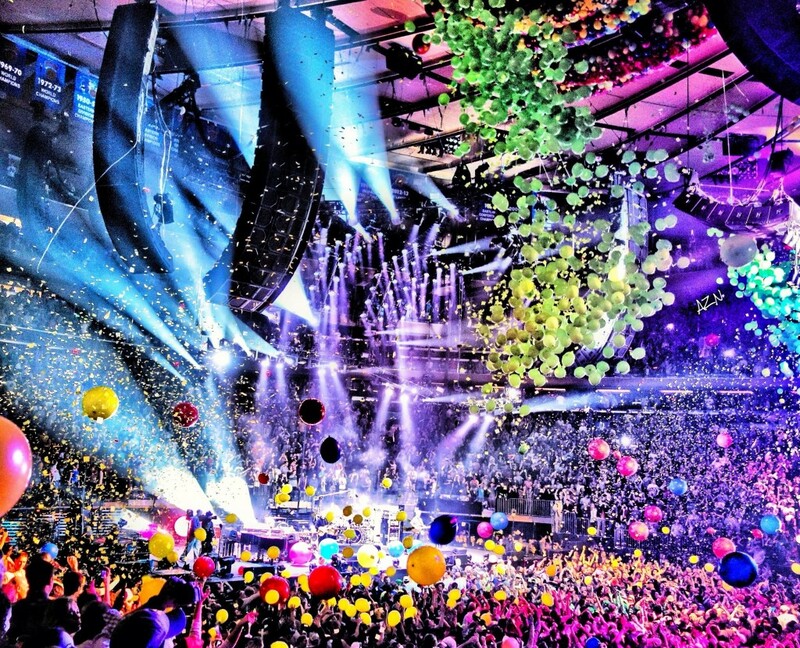 Straight up, “Down with Disease > Carini” was the stuff of legend. Not only were both jams developed and completely realized in concept, they contained lock step jamming and mind-bending creativity that covered a massive amount of the Phish spectrum. “Disease” traveled with criminal smoothness from its rock platform into a consciousness-altering ambient journey that was drenched in majesty. Melting into a dark, drone soundscape, the band showcased utter patience in allowing this excursion to unfold one note at a time. In the depths of the void, Trey unleashed mystical leads that cut through the darkness and formed a soulful peak. And then, in a genius maneuver, Fishman changed the shape of jam as he kicked into an upbeat rhythm, an idea that Trey jumped onto instantly. 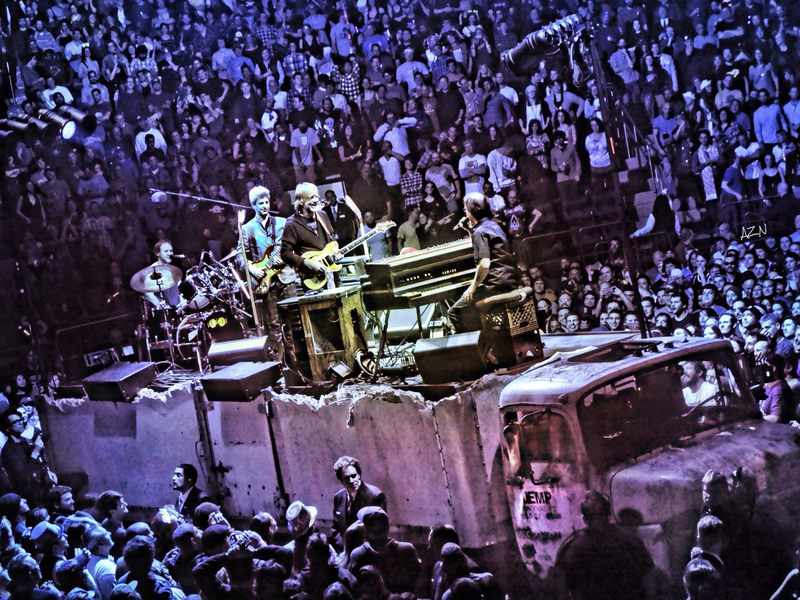 From this point, the band, collectively, worked their way back into an uptempo groove and seamlessly merged back into “Disease,” bringing the house down with their artistic triumph. 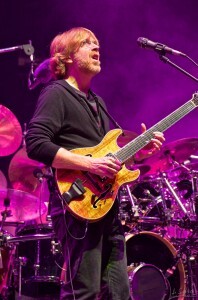 But instead of basking in the glory, Trey wasted no time at all, morphing the final note of “Disease” into the first note of “Carini!” Ummm, yeah. The 29th was back. 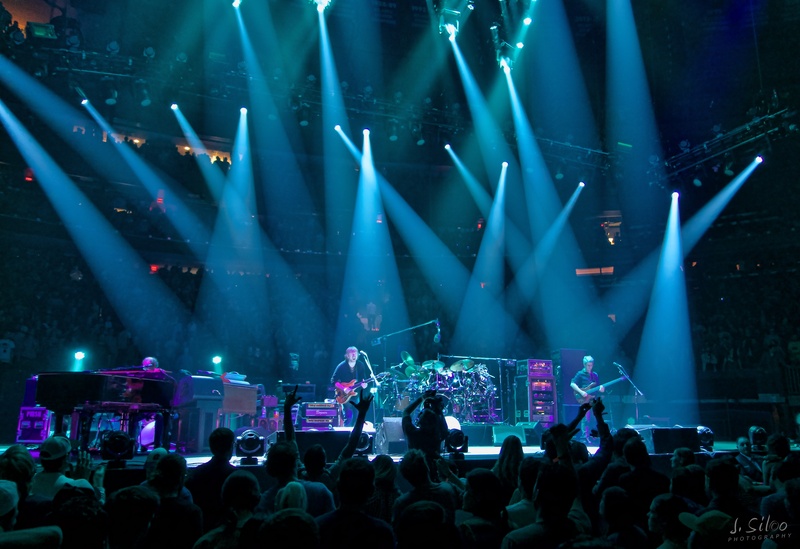 Following the most prolific year of its career, with standout versions popping up almost every time played, “Carini” was the jam everyone was waiting for at MSG. 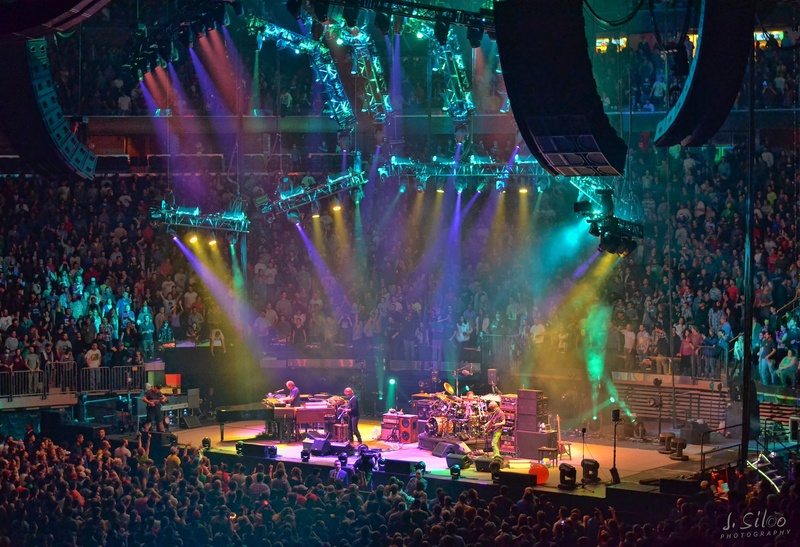 Having gone in so many different directions in 2013, “Carini” had become the newest open-ended adventure, and its last three versions of fall were all highlights of the year. 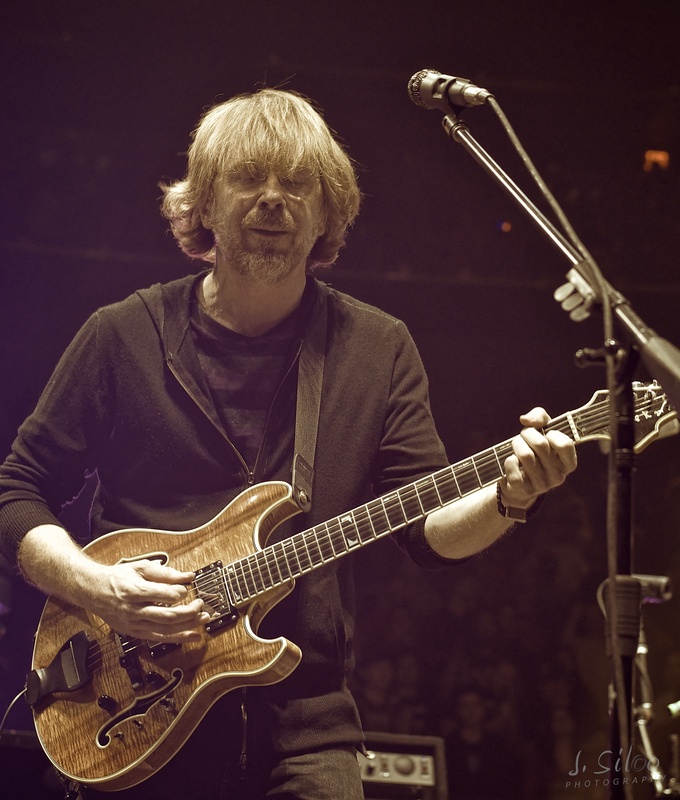 After scripting one all-time jam in “Down with Disease,” Trey was feeling IT, picked his moment, and went for another in “Carini.” And boy did he succeed. 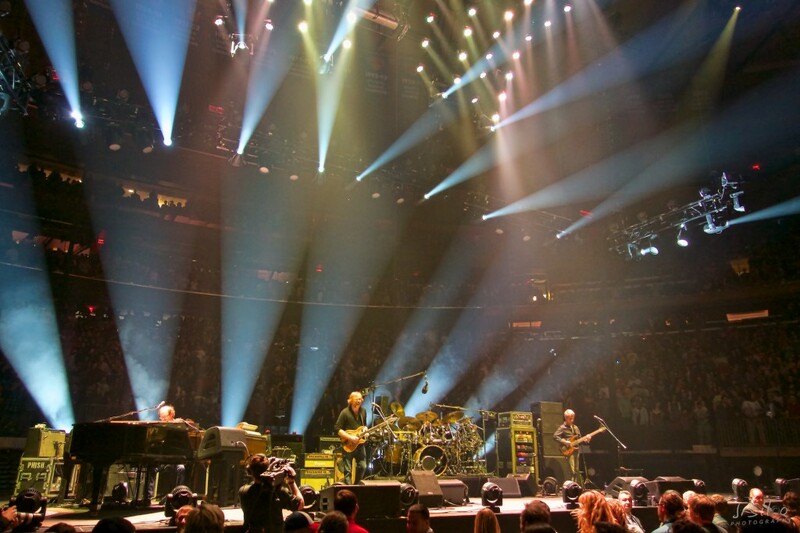 When Phish are improvising at their highest level, their jams can reach a staggering fluidity in which every note is in the perfect place with a purpose—almost as if rehearsed. In their peak moments and passages, the band is able to compliment each other with such an airtight proficiency, it is as if they are controlled by a single mind. 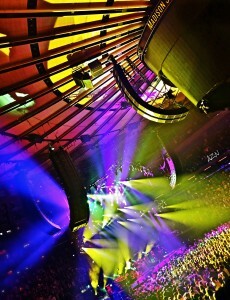 MSG’s “Carini” is one of these jams. 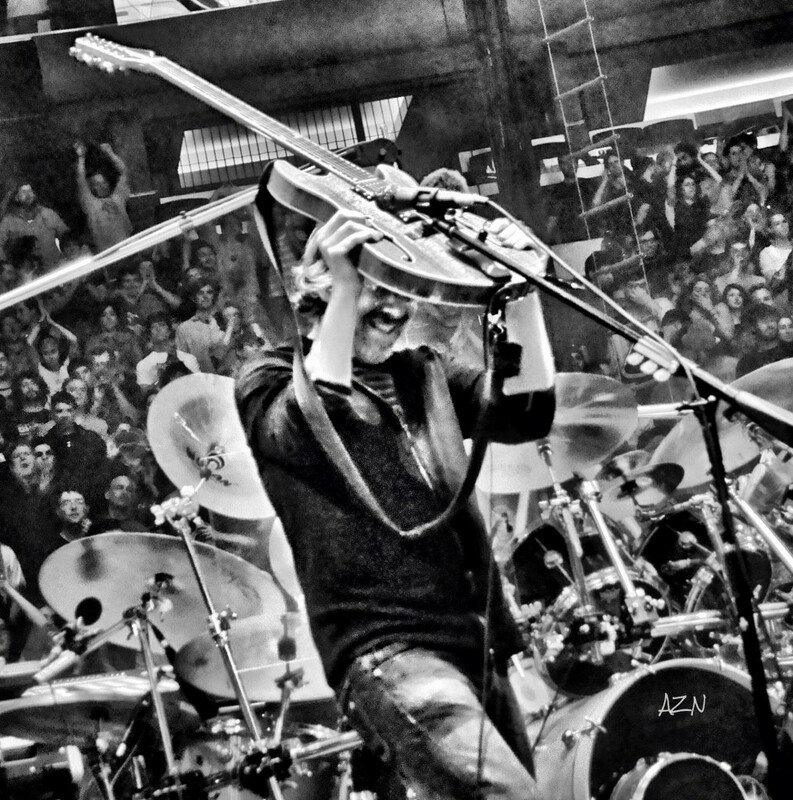 Stylistically divergent from “Disease’s” multi-tiered jaunt into ambient space and beyond, this “Carini” was a clinic in evil, larger-than-life dance groove. Gritty, spacious and demonic, this jam evoked both the sound and feeling of vintage late-‘90s MSG Phish. 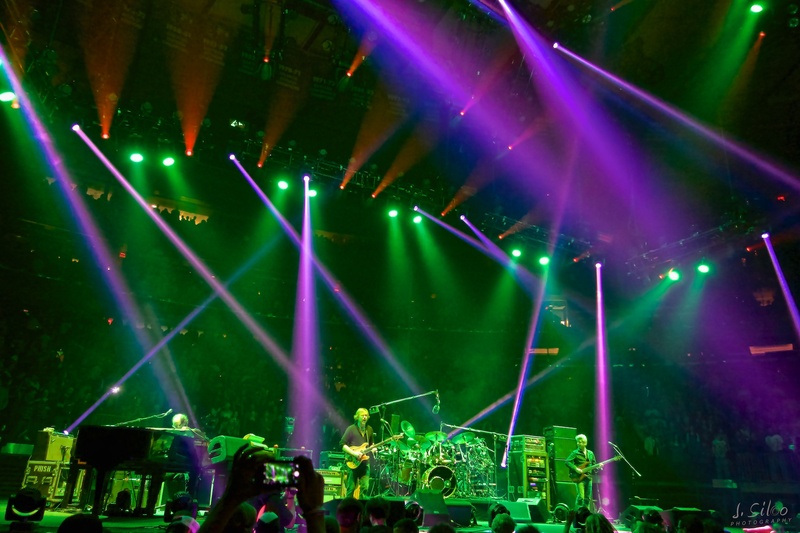 The Garden—literally—shook with the intensity of sound and energy during “Carini,” a jam that united the band and audience like none other of the run. This was the filth, the gnar, the straight dope, the business, the bees knees—pick your colloquialism, because they are all true. 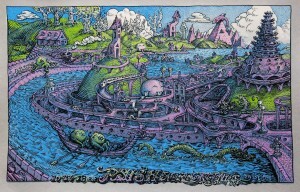 Phish was locked and loaded with a comic book level of superhuman power, and they demolished this jam like the mechanical monster of lore. In the jam’s final sequence, used his Echoplex to create a dramatic and distorted delay pattern with which he nearly crumbled the foundation of New York’s legendary round room. This “Carini was one of those experiences in which time froze; one where you’ll always remember where you were and who you were with when it went down. This was a memory of a lifetime. 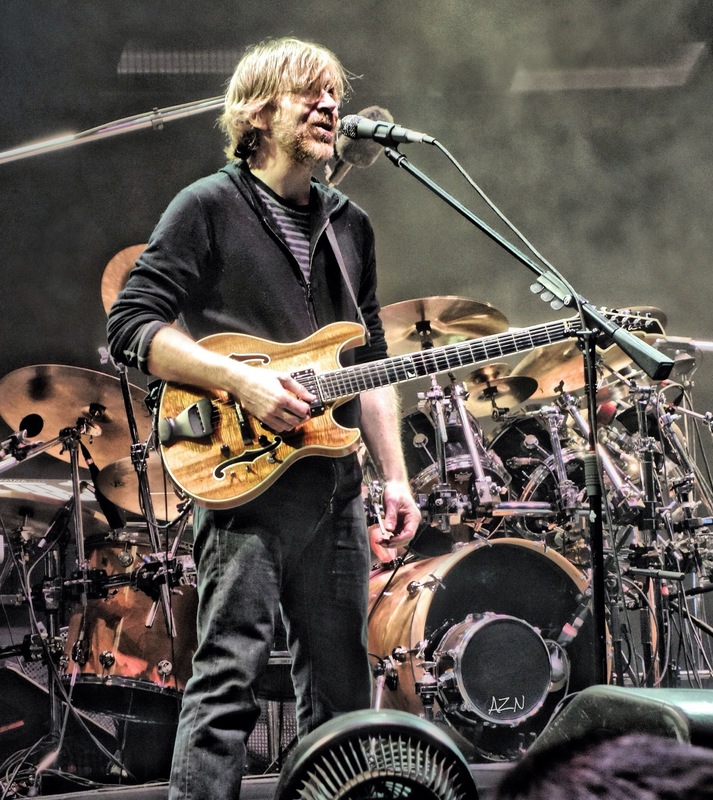 At this point in the show, Phish had dropped two consecutive first-ballot, Hall of Fame jams in a row, and upon the ending of “Carini,” Trey began “Waves!” Had we all died and gone to heaven? One couldn’t have predicted such a move, when a ballad or rocker seemed like the more probable call. 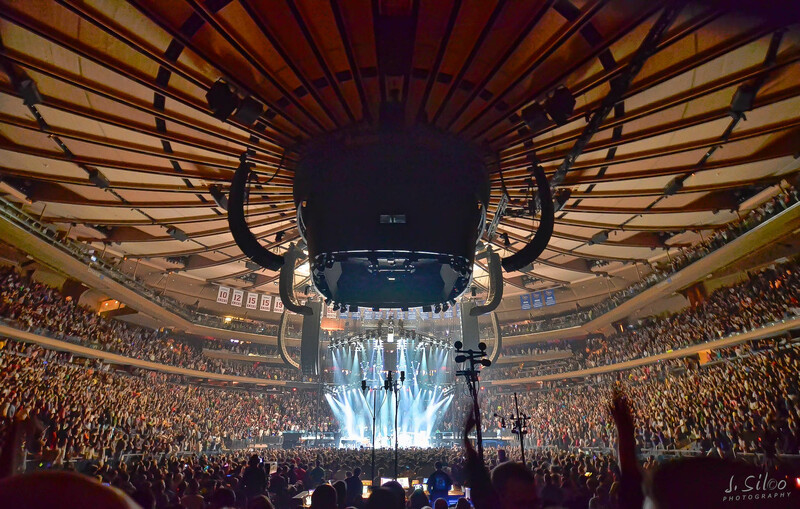 But this was the 29th at MSG and the band was neck deep in an all-time performance—Trey wasn’t gonna’ let song calls throw off the night. 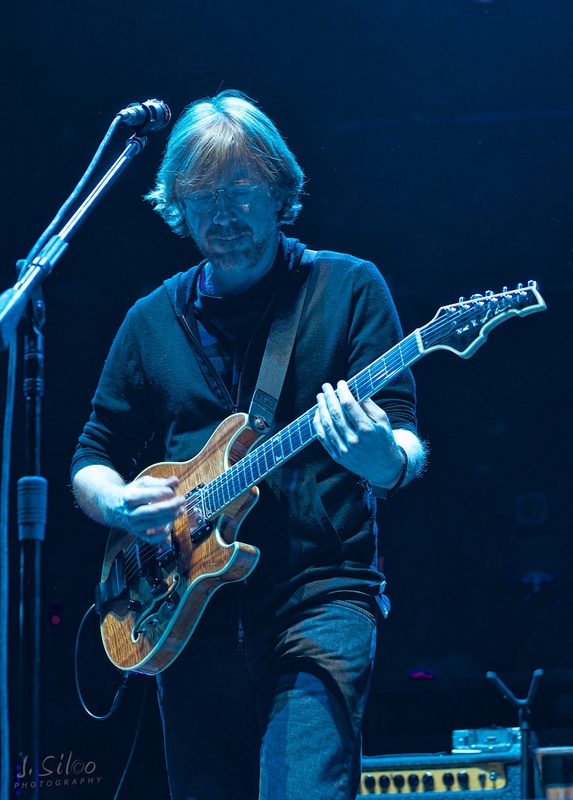 A gorgeous, jamless version of “Waves” provided the ideal cool down from the set’s opening fireworks, and the end of the song melted into the beginning of “Twist.” It was clear that the guys were going to see this set through. 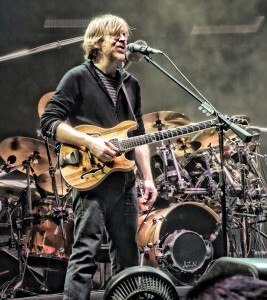 Instead of their usual late-set ballad, Phish popped into “Golgi” to bridge the main event to its closer, “David Bowie.” A focused and intricate version took several twists and turns before arriving at the song’s final peak, and when the guys, collectively, nailed the last note of the song—and of the six-song set—they put down their instruments, stood before us and bowed. But in all reality, we should have been bowing to them. 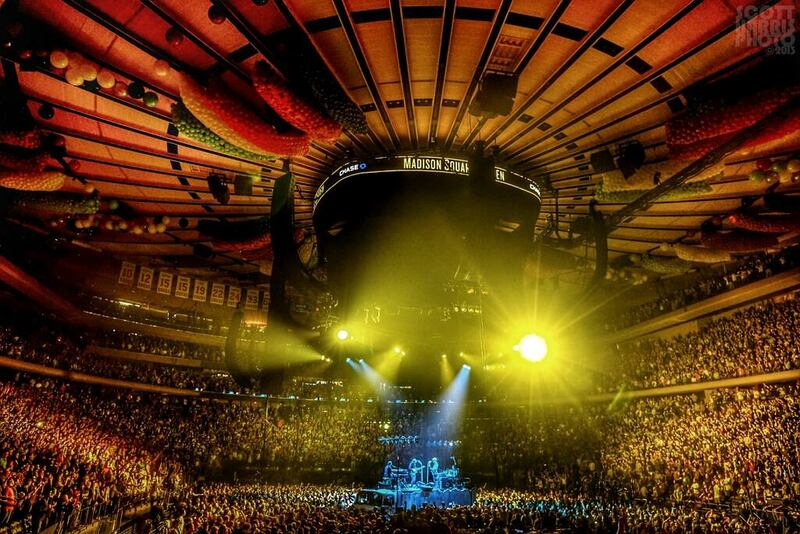 The 29th was a real deal, two-set Phish show that will stand among the best ever played at Madison Square Garden. 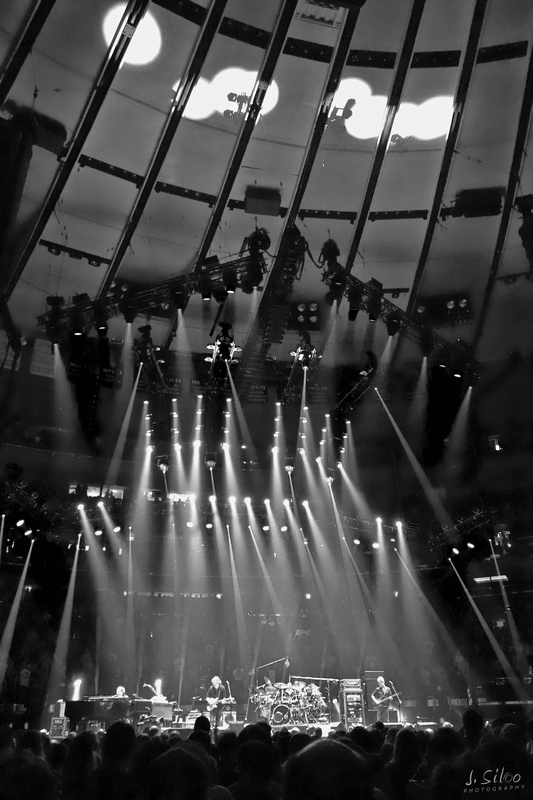 Finally, the band dropped a modern-era MSG show that can hold up to those cassette and DAT tapes we wore to death back in the day! With world-class improvisation, an awesome setlist, creativity throughout and nary a lull, this show stood out not only witihin the run and the year, but within their 30-year career. 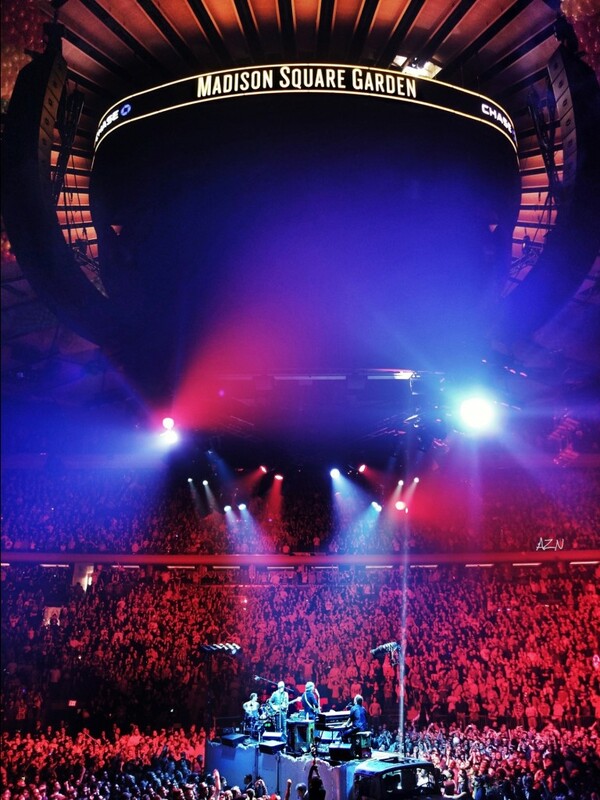 Going into this MSG run, a distinct energy coursed through the community following an incredible Fall Tour. 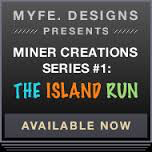 With so much momentum and with four nights to play, something monumental was bound to happen. And on the second night of the run—on a date that is now restored in the Phish universe—that something happened. We’re Going Back to Jazzfest! 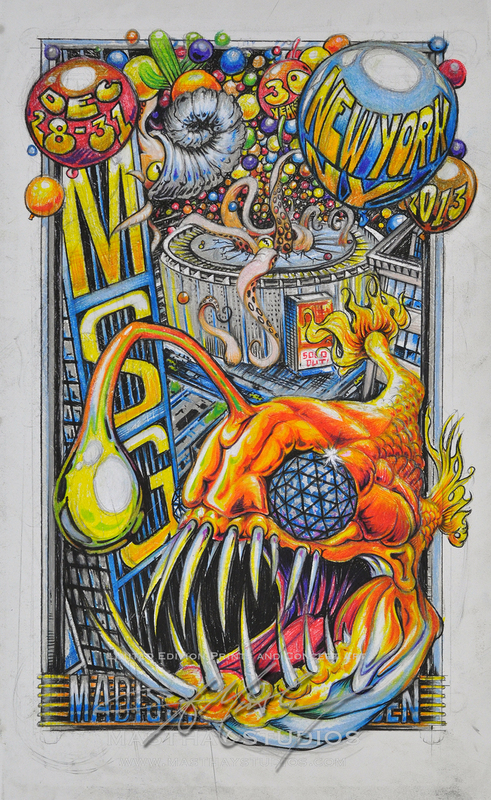 Yesterday, out of nowhere, Phish announced their return to the greatest festival in the land—The New Orleans Jazz and Heritage Festival—exactly 18 years to the date that they played the Fairgrounds on April 26, 1996. 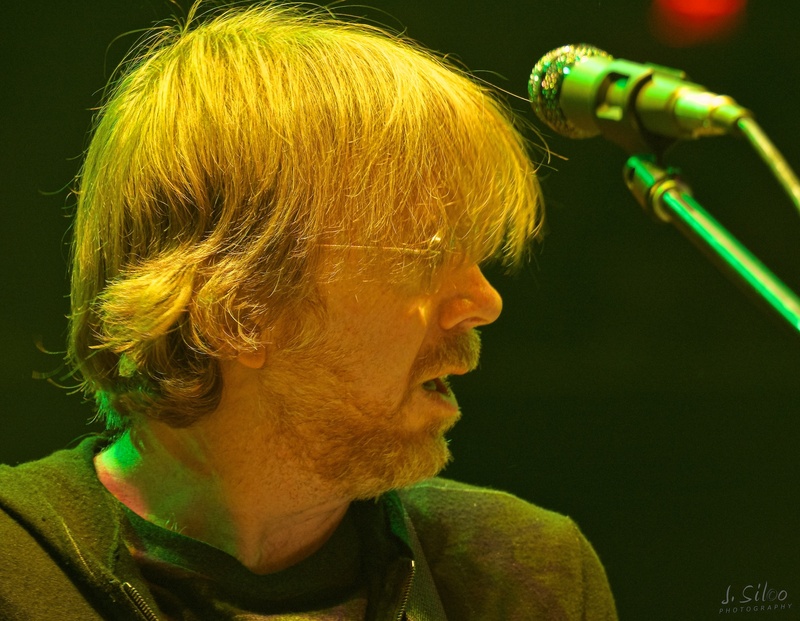 Between then and now, however, Phish has been absent from the annual gathering due to the unruly element that their fans brought to the site. 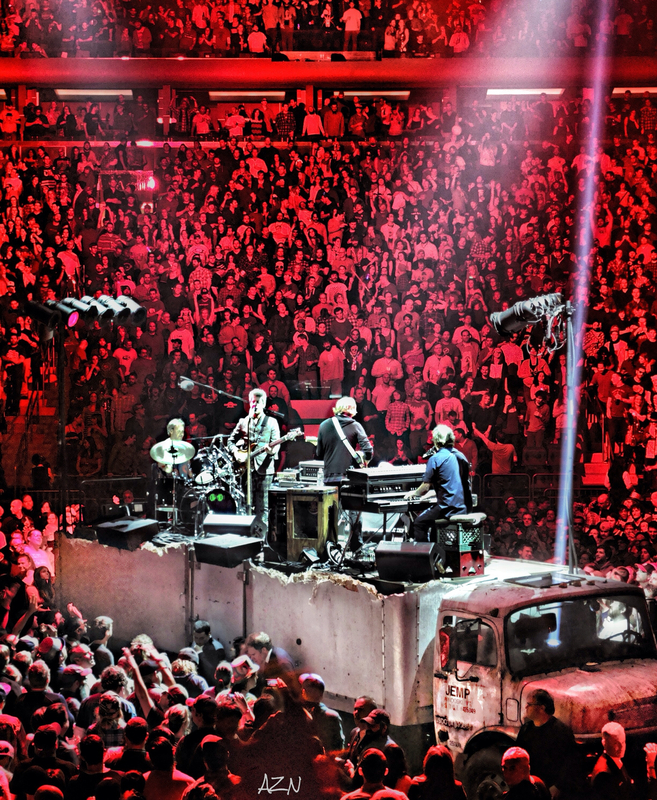 With nearly two decades since their visit, however, the band—and their fans—are being invited back! And with the announcement of a Spring date in the South, fans’ heads are already spinning with the possibilities of what might going on around that date. 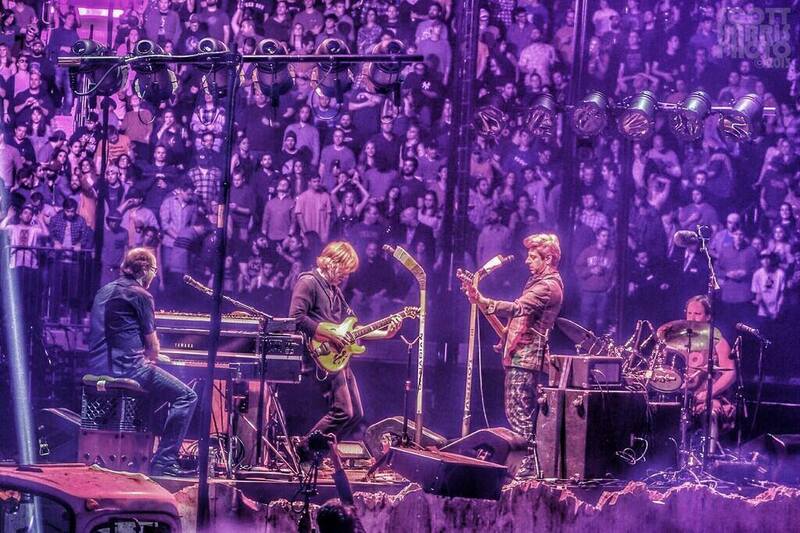 Phish all but ignored the South last year, stopping only in Alpharetta for a mid-week two-night stand. 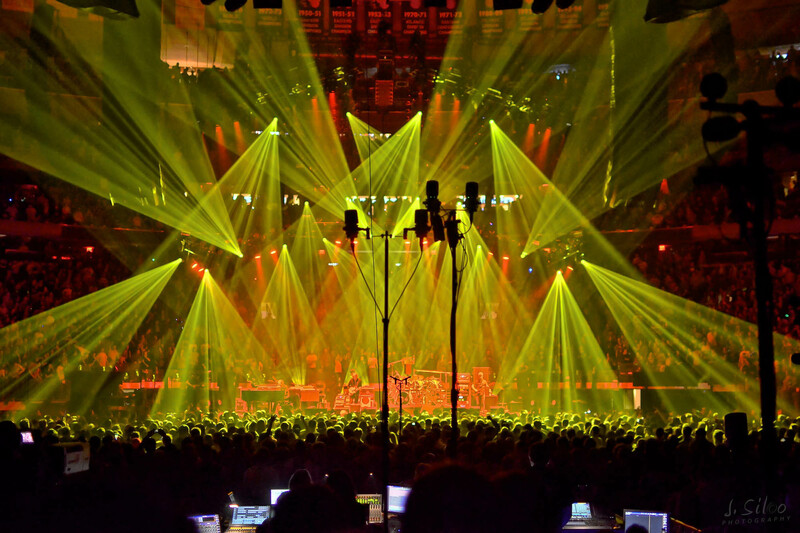 Additionally, no 3.0 festival date has been a standalone affair, as Austin City Limits kicked off Fall 2010, Outside Lands was in the middle of Summer 2011, and both appearances at Bonnaroo took place in the amidst summer tour. 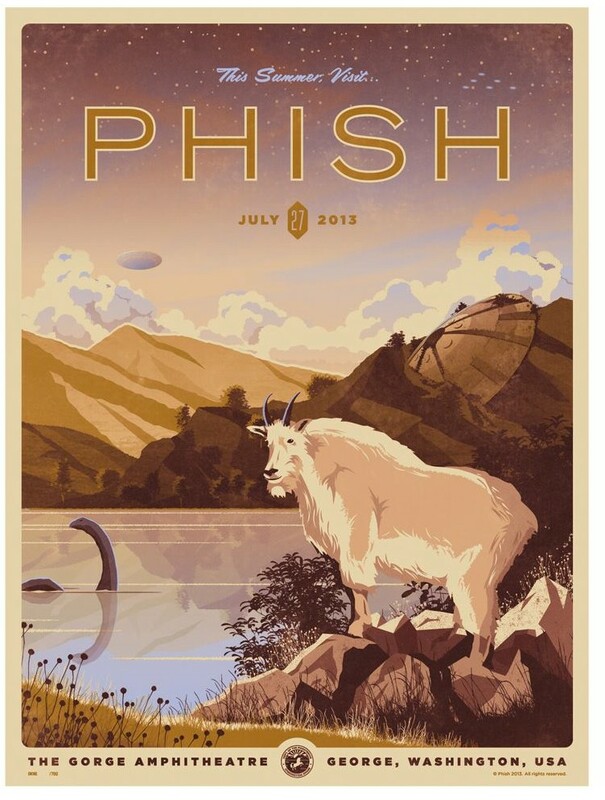 Putting these factors together, along with the already swirling rumor of two-dates in Austin following Jazzfest, we just might be looking at our first Spring tour since 1994! 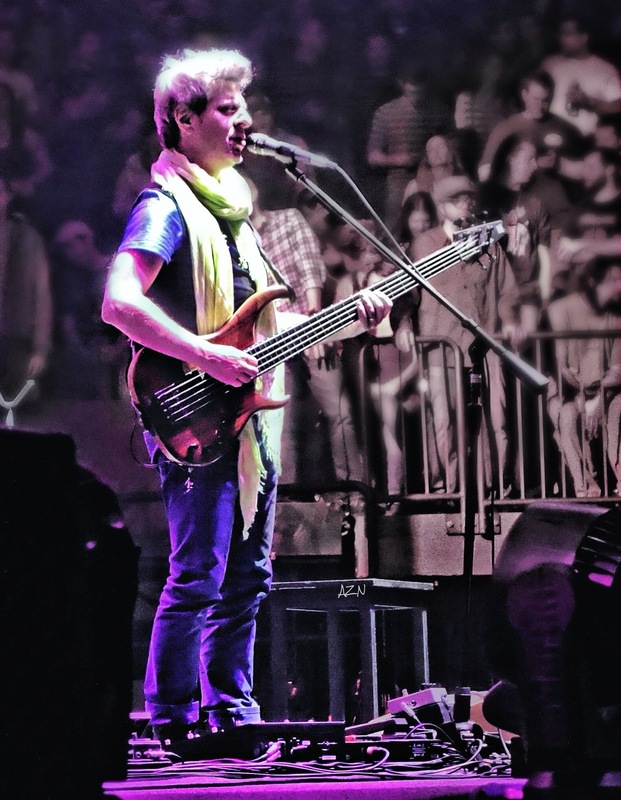 The Mike Gordon Band tours until April 6th, giving the guys enough time to hit the Barn, brush up on things and fly south for Spring! Regardless of what dates, if any, are booked before or after this weekend, there are limitless possibilities in New Orleans, alone. Anyone who’s been to Jazzfest knows that the day time Fairground shows comprise only a fraction of the story. 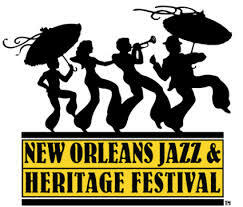 Jazzfest goes on 24 hours a day, with musicians performing club shows and sit-ins until the wee hours of the morning. With all four members of Phish in the Bayou, one can bet that they will pop up with musicians all over town. Back in 1996, when the Allman Brothers were the bigger headliner of the festival, they also played an independent, arena gig at Lakefront Arena, a slot that seems perfect for Phish to slide right into. 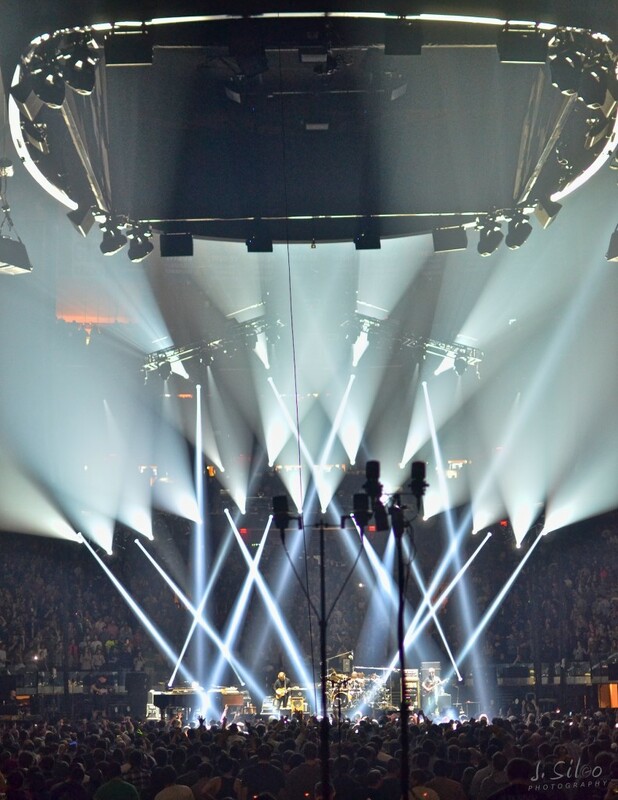 One way or the other, one can be sure that the main stage at the fairgrounds won’t be the only stage that the members of Phish grace throughout the weekend. Few expected to wake up in the middle of January to news of the next Phish date, but lo and behold, the community has been abuzz all day long discussing plans, booking hotels and getting excited for New Orleans! 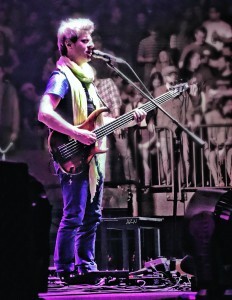 The glow of the holiday run had yet to wear off and here we are talking about Phish in the Bayou and beyond. The next thirty years are off to quite a start! 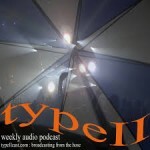 Check out the most recent Type II Cast as host Steve Olker, Brian Bavosa, and I break down and discuss each night of the MSG run, with audio clips and anecdotes along the way.